2017 Legislature - Week 4 Summary! 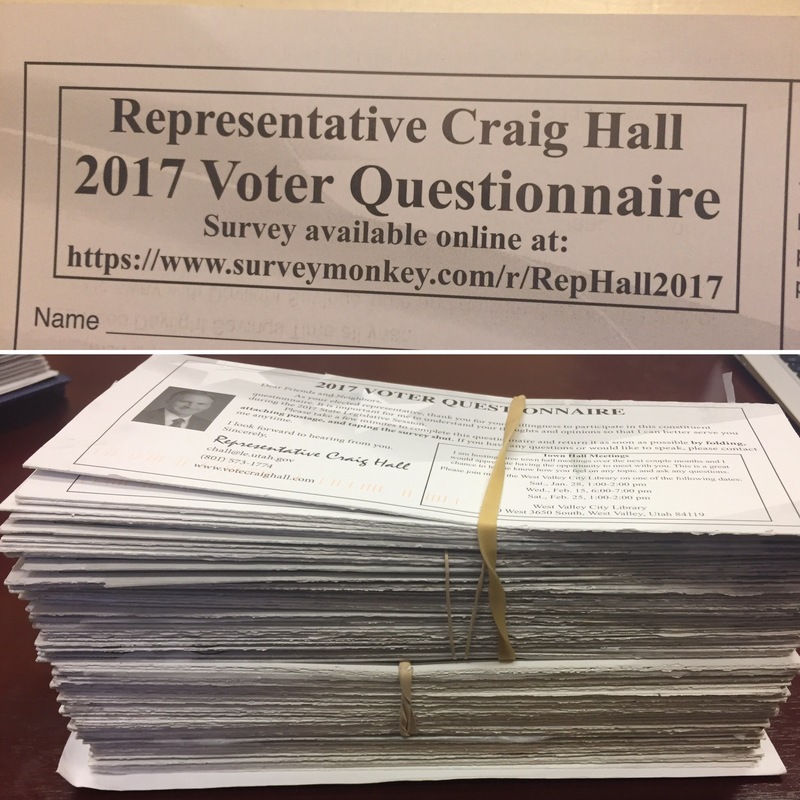 Home > News > 2017 Legislature - Week 4 Summary! Patrons and leaders of the arts and humanities met and talked with their state senators and representatives in the Capitol Rotunda. 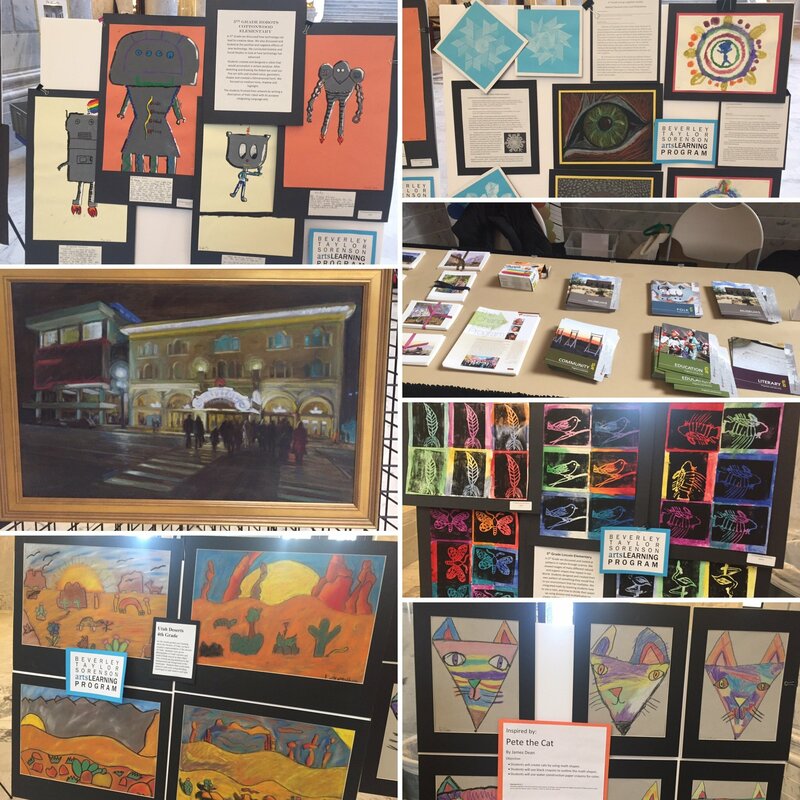 Thanks to the arts-interested individuals and organizations that gathered to celebrate the arts and meet with their state representatives. And thanks to the kids whose art was scattered throughout the Capitol. We love having folks visit the Capitol during the Session. 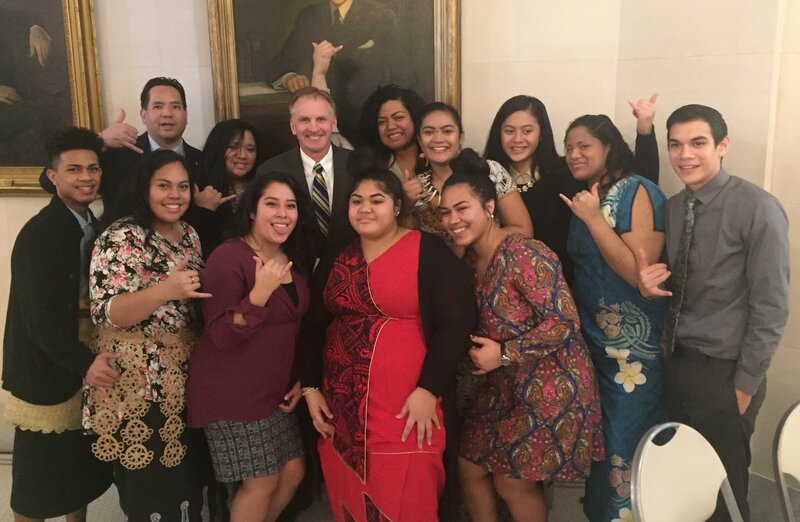 This week it was students from Granger High School. Specifically, it was Granger's Island Teens Against Tobacco group. They came to express their views regarding the dangers of tobacco. Thank you for coming! Often times, there are issues at the Capitol that disproportionately affect West Valley. Here is a photo of Mayor Ron Bigelow and I advocating for West Valley at the State Capitol during a committee meeting. Thanks to Mayor Bigelow for his efforts! 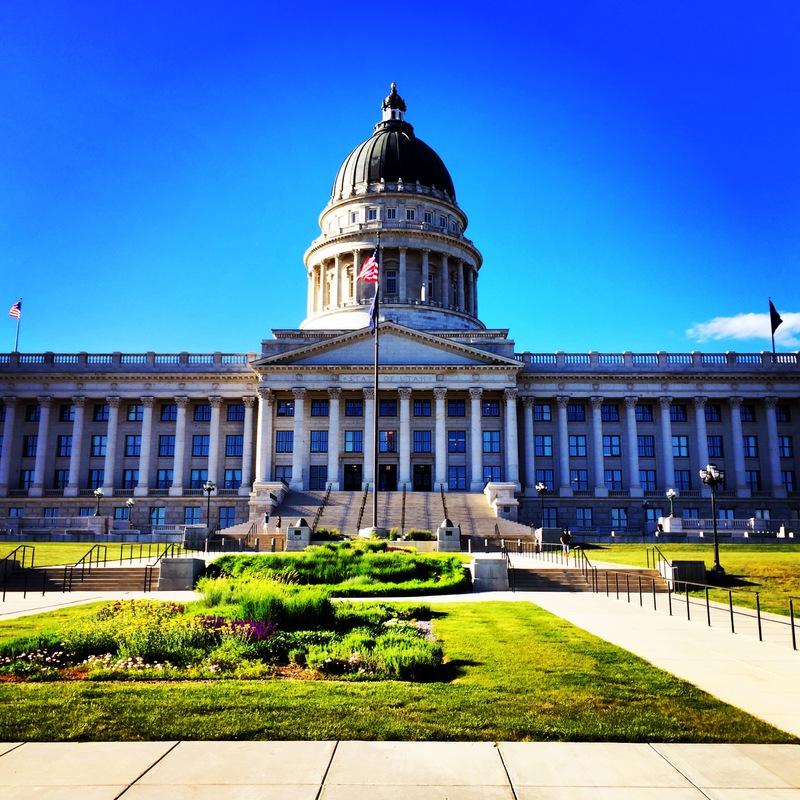 One of our State's treasures is the State Capitol building. And visiting during the legislative session is the best time of year to visit. Lots of action happening every day. I would love to give your family / school group / church group / etc. a behind-the-scenes tour of the State Capitol. Give me a call/email/text and we'll make it happen. Thanks for. visiting! HB86 - Inactive Voter Amendments - PASSED! - I am the chief sponsor of this bill. Passed the House 70-0 and the Senate 25 - 0. Sen. Karen Mayne was the Senate sponsor. HB105 - Early Voting Amendments - I am the chief sponsor of this bill. Passed the House 73-0. Will be heard by the full Senate this week. 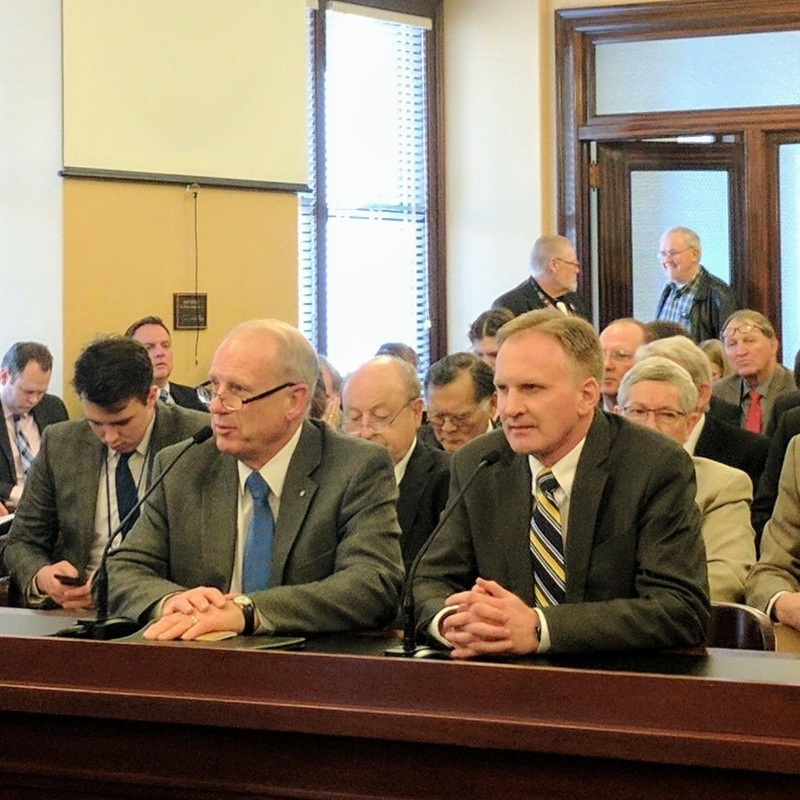 HB106 - Utah Uniform Securities Act Amendments - PASSED! - I am the chief sponsor of this bill. Passed the House 73-0. Will be heard by the full Senate this week. HB288 - School Sunscreen Provision - I am the chief sponsor of this bill. Passed the House 68-1. Off to the Senate. We had our first two Town Hall meeting on Saturday, January 28 and Wednesday, February 15. Thanks to those who attended and asked great questions. I have one more Town Hall meeting scheduled during the legislative session. All Town Hall meetings will be at West Valley Library (2800 West 3650 South).